"Nathan Drake Finally Finds Real Treasure"
As if seeing Star Wars Episode VII: The Force Awakens wasn’t a sweet enough treat, gamers were given an extra bonus before the film. A new Uncharted 4: A Thief’s End trailer was revealed, showing off what’s really at stake in Nathan Drake’s newest adventure. The trailer is very a short, thirty second cinematic of slow motion action. It begins with a close up of our hero, lunging out to grab what looks like a valuable gold coin. Then, Nolan North’s unmistakable voice narrates over the clip as the camera does a slow 360 degree shot of the surrounding area. “Nathan Drake,” the voiceover says, “That two-bit thief.” The camera continues to pan right and we see we are in a cave setting and not only is there a woman with an automatic weapon pointing at Drake, the ceiling is caving in. “I guess that’s how they know me; How they’ll remember me,” he continues. We then see the floor is caving in as well, and several soldiers decked out in Kevlar vests and AK-47s are falling with the ground beneath them. The camera continues to pan as we see the gold coin spin out of Nathan’s reach. It’s then revealed that Nathan is actually reaching for his older brother, Sam, who is in danger of falling though the ground himself, while the coin is almost out of the camera’s eye. Just before Nathan and Sam’s hands meet, an blue screen appears out of no where with the Uncharted 4 game package on display, with the words, “Pre-Order Now!” next to it. In this short, short cinematic, we are shown what’s at stake and where Nathan’s loyalty truly lies. Not with treasures or fame or fortune, but with his own flesh and blood. 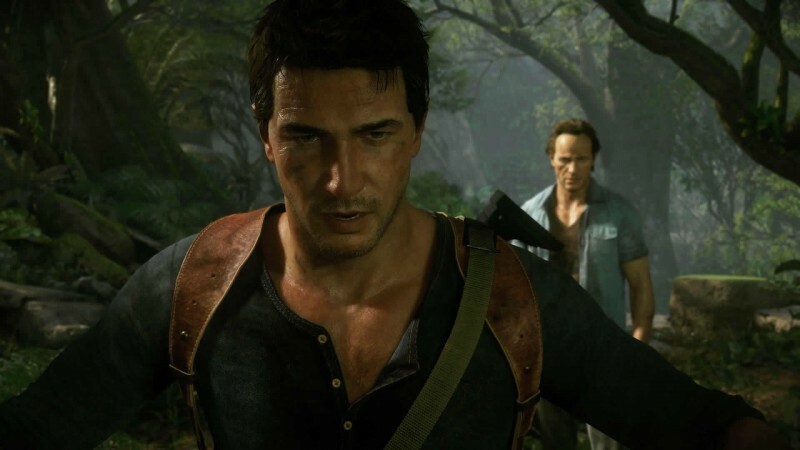 Uncharted 4: A Thief’s End comes out on March 18, 2016.